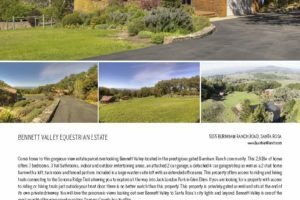 Bennett Valley Equestrian Estate. Come home to this gorgeous view estate parcel overlooking Bennett Valley. This 2,918 Sq. Ft. +/- home offers 3 bedrooms, 3 full bathrooms, indoor and outdoor entertaining areas, an attached 2 car garage, a detached 4 car garage/shop as well as a 2-stall horse barn with a loft, tack room and fenced pasture. Included is a large master suite loft with an extended office area. This property offers access to riding and hiking trails connecting to the Sonoma Ridge Trail allowing you to explore all the way into Jack London Park in Glen Ellen. If you are looking for a property that allows you to ride or hike by just walking out your front door none will better match your need than this property. 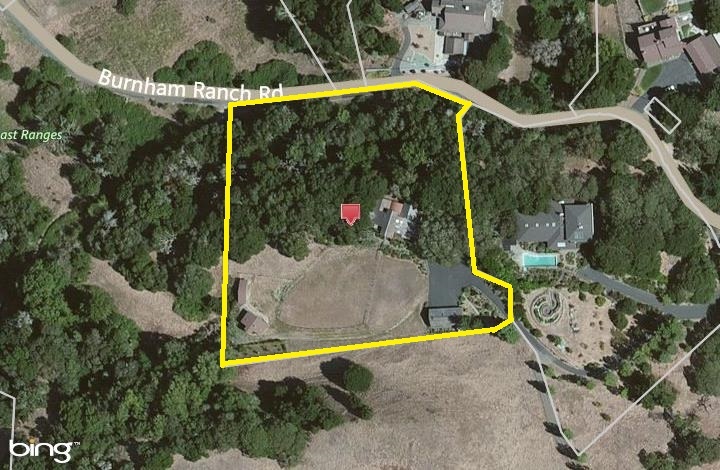 This is a country property located within the prestigious gated Burnham Ranch community. This property is privately gated as well and sits at the end of its own private driveway. The privacy here is superb. 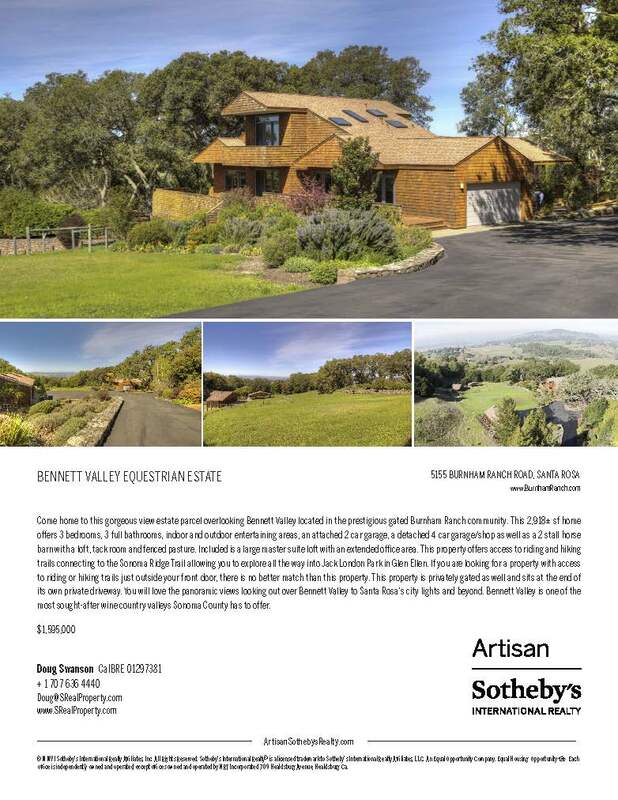 You will love the panoramic views looking out over Bennett Valley to Santa Rosa’s city lights and beyond. Bennett Valley is one of the most sought after wine country valleys Sonoma County has to offer. This area supports award winning vineyards & very Hi-End Estates. Enjoy easy access to Glen Ellen, Kenwood, Santa Rosa, as well as a quick route to the 101 at the North end of Petaluma making for an easy commute to San Francisco. This is a very desirable location and truly one of the most beautiful parcels you will see throughout the Sonoma County Wine Country. Call Doug Swanson and schedule a private viewing 707-636-4440.